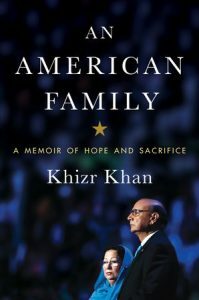 As a part of Virginia Festival of the Book organized by Virginia Foundation for the Humanities, Khizr Khan will discuss his experiences as an immigrant on March 22, 2018, at Martin Luther King, Jr. Performing Arts Center, co-hosted by the Rumi Forum. 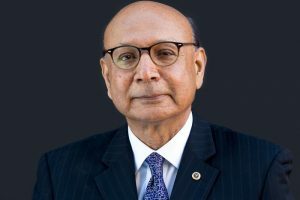 Khizr Khan (An American Family) will discuss his experiences as an immigrant, our rights as Americans, and the legacy of democracy that we are each empowered to protect; in conversation with Douglas Blackmon. Book sales and signing will follow. In this urgent and timeless immigrant story, we learn that Khizr Khan has been many things. He was the oldest of ten children born to farmers in Pakistan and a curious and thoughtful boy who listened raptly as his grandfather recited Rumi beneath the moonlight. He was a university student who read the Declaration of Independence and was awestruck by what might be possible in life. He was a hopeful suitor, awkwardly but earnestly trying to win the heart of a woman far out of his league. He was a brilliant and diligent young family man who worked two jobs to save enough money to put himself through Harvard Law School. He was a loving father who, having instilled in his children the ideals that brought him and his wife to America—the sense of shared dignity and mutual responsibility—tragically lost his son, an Army captain killed while protecting his base camp in Iraq. He was and is a patriot, and a fierce advocate for the rights, dignities, and values enshrined in the American system. An American Family shows us who Khizr Khan and millions of other American immigrants are, and why—especially in these tumultuous times—we must not be afraid to step forward for what we believe in when it matters most. Khan’s book for young readers, This Is Our Constitution, also shares fascinating personal insights into the history of American democracy, reminding everyone why the Constitution still matters. Khizr Khan was born in 1950, the eldest of ten children, in rural Pakistan. He moved to the United States with his wife Ghazala, in 1980. The couple became American citizens and raised their three sons in Silver Spring, Maryland. Their middle son, a U.S. army captain Humayun Khan, a graduate of the University of Virginia and its Army ROTC program, was killed in 2004 while stopping a suicide attack near Baqubah, Iraq. He was posthumously awarded a Purple Heart and a Bronze Star. Khizr Khan holds a BA degree from Punjab University, an LLB from Punjab University Law College, and an LLM from Harvard Law School. He is a member of the bar of the United States Supreme Court; the Washington, D.C., State Bar; the New York State Bar; and the American Bar Association. The focus of Khan’s legal practice is on complex civil litigation, electronic discovery, health privacy compliance law, and civil rights and veterans’ rights advocacy. He and Ghazala live in Charlottesville, Virginia. Virginia Festival of the Book event can be found here.